A major East Coast Museum of Fine Arts was interested in the examination of a small oil painting. 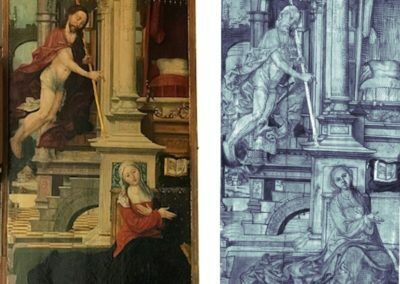 Executed by an unknown Flemish artist in 1520, it was examined using hyperspectral imaging (HSI) equipment. The purpose of this evaluation was to study the underdrawing and painting materials with the hope of identifying the artist by comparing the results to underdrawings and materials in paintings by known Flemish artists of the same period. 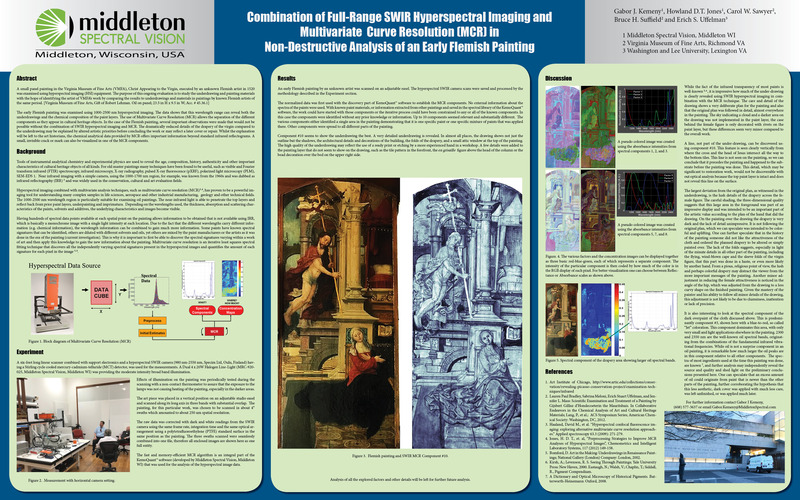 A SWIR spectral camera based hyperspectral scanning system was brought to the site to measure the painting on a vertical studio easel. 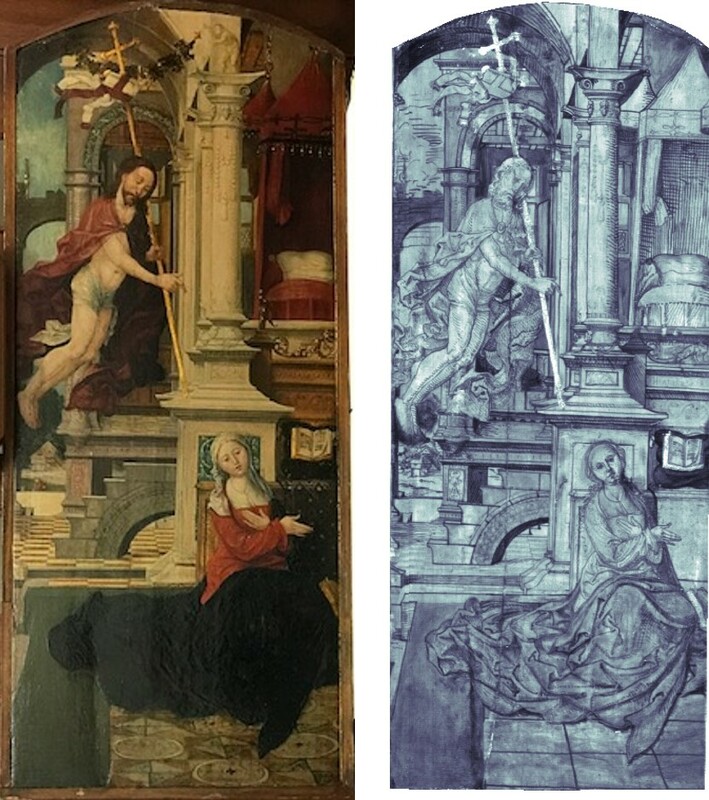 The early Flemish painting was examined using 1000-2500 nm hyperspectral imaging. The data shows that this wavelength range can reveal both the underdrawings and the chemical composition of the paint layers. The use of Multivariate Curve Resolution (MCR) allows the separation of the different components as they appear in cultural heritage objects. 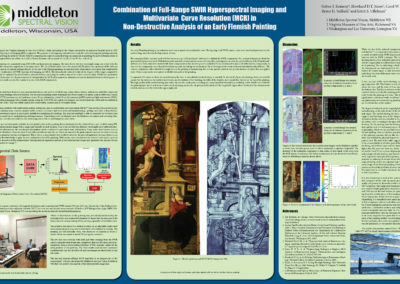 In the case of the Flemish painting, several important observations were made that would not be possible without the combination of SWIR hyperspectral imaging and MCR method. The dramatically reduced details of the drapery of the virgin figure compared to the underdrawing may be explained by altered artistic priorities before concluding the work or may reflect a later cover or repair. Whilst the explanation will be left to the art historians, the chemical analytical data provided by MCR offers important information beyond standard infrared reflectograms.